We’ve all been there while out camping, hunting, hiking or just somewhere out of town and, you need to use your phone, alas, you have absolutely no signal. However, with the progression of technology, that is no longer a problem. 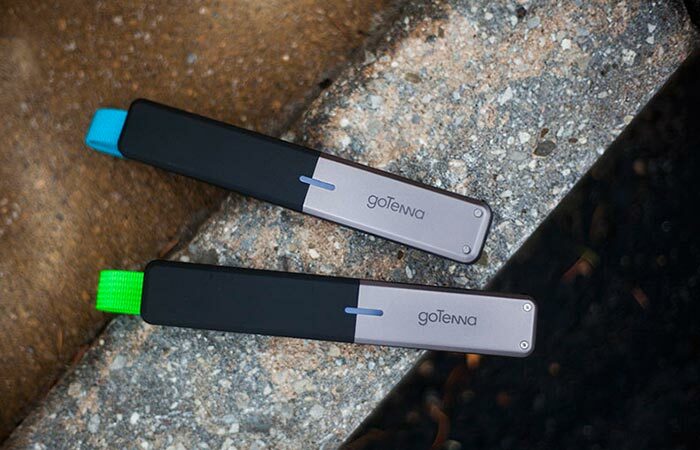 Thanks to the creation of a nifty little device, aptly called, the goTenna, you can stay in touch no matter where you are. 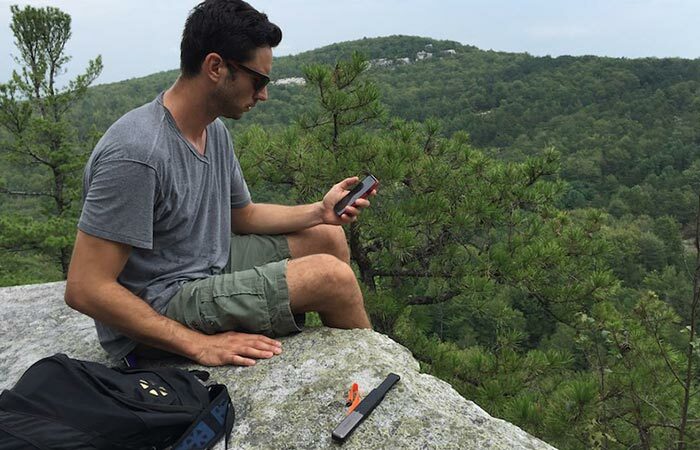 The goTenna is the perfect solution for any situation that you might find yourself where you are completely signal-less and allows for 1-on-1 conversations as well as group chats within a range of 1 to 6 miles. The goTenna allows you to use your mobile phone in 1-on-1 private encrypted conversations or texts in a group chat with other goTenna users. It doesn’t matter what carrier you are or even if there’s no power, the goTenna can still function smoothly since all the information is sent via VHF radio waves. This also completely removes carrier costs! The goTenna, combined with its smartphone application also features free offline maps and you can share your location, as well as text, with other users. Check out the video below. The goTenna is extremely durable and is completely weatherproof so that you can use it in any environment. Even though the goTenna can aggregate all the surrounding goTenna users, it gets sold in pairs so that you always have someone that you can contact in an emergency or if you just feel like a chat while out camping. The goTenna is powered by a Lithium-ion battery that can be used continuously for 24 hours before needing to recharge and recharging it is made super easy via the USB cable. If you were concerned with it getting damaged, there’s no need to fret since this little device is completely weatherproof and can be used in the harshest of conditions. 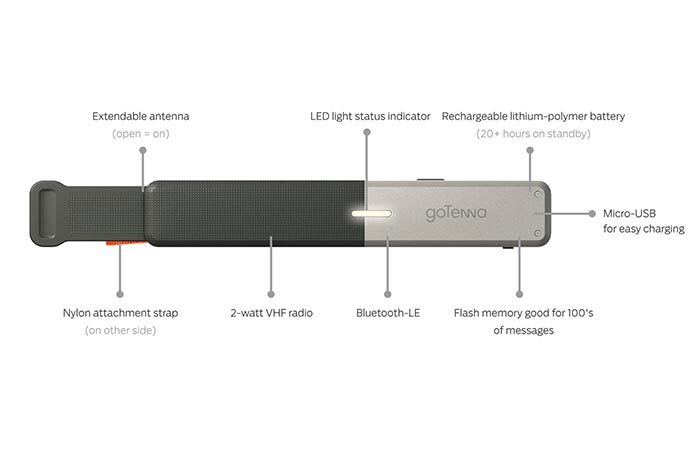 The goTenna is packed full of features and can be recharged by simply using the built-in USB port. The goTenna is compatible with both Android and iOS and comes in blue/green and orange/purple combos.